South Carolina neon underglow usage is governed by the state's Code. All relevant laws, rules and regulations pertaining to vehicle lighting including car underglow in South Carolina have been provided below. Make sure to examine the regulations carefully and do not use any restricted lights. Usage of neon underglow lighting is governed by South Carolina Vehicle Code, Title 56: Motor Vehicles, Chapter 5: Uniform Act Regulating Traffic on Highways, Article 35: Equipment and Identification. Is neon underglow legal in South Carolina? There are no relevant SC laws which restrict or prohibit installing neon underglow or other aftermarket lighting, meaning we consider it legal to use it while driving. Ensure your neon lights are unable to change color to blue, and do not use any kind of rotating, flashing, oscillating, or fading lights. Below are all relevant excerpts from South Carolina Vehicle Code that limit, restrict or allow certain aftermarket lights to be installed on vehicles. SECTION 56-5-4430. Additional parts and accessories not prohibited. Nothing contained in this article shall be construed to prohibit the use of additional parts and accessories of any vehicle which are not inconsistent with the provisions of this article. This section is important to note as it essentially permits using underglow as long as it’s not in violation of other laws and regulations. SECTION 56-5-4590. Color of clearance lamps, side-marker lamps, reflectors, stop lights and back-up lamps. Front clearance lamps and those marker lamps and reflectors mounted on the front or on the side near the front of a vehicle shall display or reflect an amber color. Rear clearance lamps and those marker lamps and reflectors mounted on the rear or on the sides near the rear of a vehicle shall display or reflect a red color. All lighting devices and reflectors mounted on the rear of any vehicle shall display or reflect a red color, except the stop light or other signal device, which may be red, amber or yellow and except that the light illuminating the license plate or the light emitted by a back-up lamp shall be white. (C) All police vehicles when used as authorized emergency vehicles must be equipped with oscillating, rotating, or flashing blue lights. In addition to the blue lights, the police vehicle may, but need not be equipped with alternately flashing red lights as herein specified, and may, but need not be equipped with oscillating, rotating, or flashing red lights, white lights, or both, in combination with the required blue lights. The authorized emergency police vehicle lights described herein must be visible for a distance of five hundred feet in all directions in normal sunlight. It shall be unlawful for any person to possess or display on any vehicle any blue light that is visible from outside the vehicle except one used primarily for law enforcement purposes. (D) The alternately flashing lighting described in subsection (B) of this section shall not be used on any vehicle other than an authorized emergency vehicle. Provided, that a school bus may use the alternately flashing red lighting described in subsection (B), or red flashing lights in the rear and amber flashing lights in the front. In case you’re stopped by a police officer and in case of LED underglow which is typically capable of changing colors, we strongly suggest not telling officers you can change colors. By law even possession of blue lights can be considered against the law. SECTION 56-5-4720. Use of oscillating, rotating or flashing red lights on State Department of Transportation vehicles. Notwithstanding the provisions of Section 56-5-4700, any Department of Transportation vehicle may use oscillating, rotating or flashing red lights during any emergency. The Department of Transportation personnel shall determine when an emergency exists. Any vehicle may be equipped with lamps which may be used for the purpose of warning the operators of other vehicles of the presence of a vehicular traffic hazard requiring the exercise of unusual care in approaching, overtaking or passing, and when so equipped may display such warning in addition to any other warning signals required by this chapter. The lamps used to display such warning to the front shall be mounted at the same level and as widely spaced laterally as practicable and shall display simultaneously flashing white or amber lights or any shade of color between white and amber. The lamps used to display such warning to the rear shall be mounted at the same level and as widely spaced laterally as practicable and shall show simultaneously flashing amber or red lights or any shade of color between amber and red. SECTION 56-5-4830. Special restrictions on lamps; degree of intensity; red, blue and flashing lights. Our information about car neon underglow laws in South Carolina was last updated in 2018 and checked in 2019. In case any info we provided is not up to date or correct be sure to contact us so we can revise it. Thank you! Check our data with your local law enforcement or other relevant agencies! 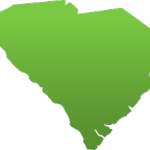 South Carolina underglow laws in certain cities or counties may be different from state legislation. While we do our very best to provide the most accurate information about LED and neon street glow usage we will not be held liable for any potentially incorrect or misinterpreted info. Have questions about traffic or neon glow laws in South Carolina?